Welcome to Bruce's bouncers ! Welcome to Bruce’s Bouncers! 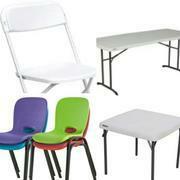 Your Party Rental Specialists. 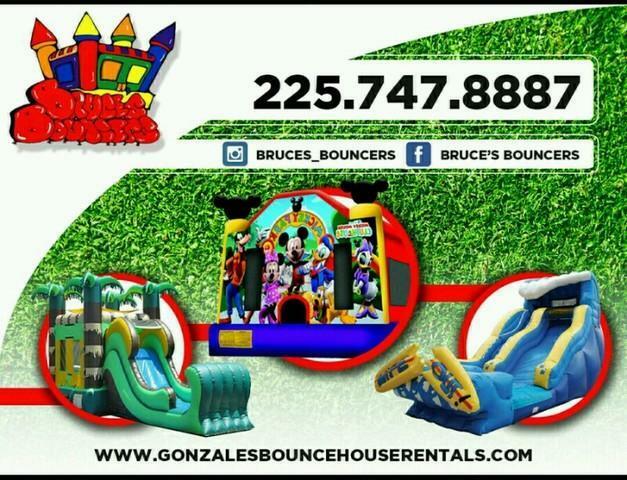 Our bounce houses and water slides are the newest and cleanest in the Gonzales, LA area. 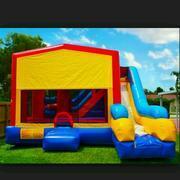 So why not rent one today for your next birthday party, neighborhood party or for any event. It will be a positive event your kids will remember for a lifetime! 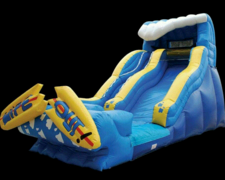 We rent our bounce houses and water slides on a per day basis. 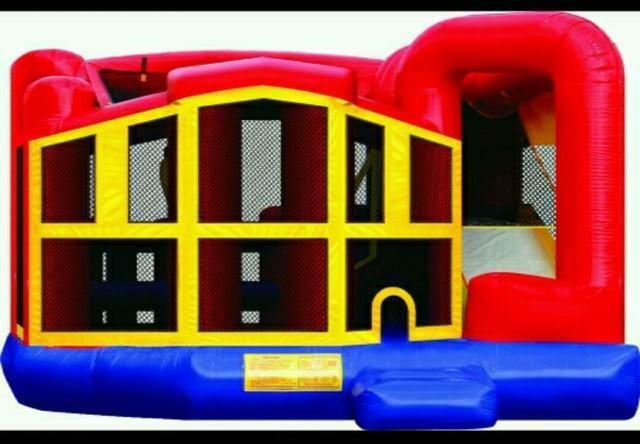 Your bounce house or waterslide will be promptly delivered before your party begins and pocked up later that evening. Overnight rentals are available for an extra charge. 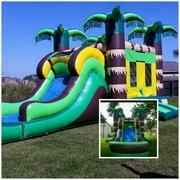 We deliver bouncers & water slides to residents in Gonzales, La. Darrow, La., West Baton Rouge, La. St. Gabriel, La., Livingston, La., Paulina, La. Lutcher, La., Geismar, La., Sorrento, La., Donaldsonville, La., Prairieville, La., and Baton Rouge, La. Call (225) 747-8887 for a quote & service availability to other areas. We are VERY competitively priced! 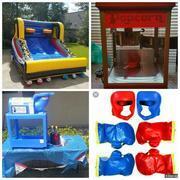 Our themed bouncers include: The Kahuna Water Slide, The Mickey Park, Sesame Street, Elmo Bounce House, Justice League Inflatable Jumper and Backyard Obstacle Course, and our most popular jumpers the C4 Wet/Dry Combo, C5 Wet/Dry Combo and the C7 Combo which can be set up with many assorted panels including, Mickey Mouse, Spiderman, Disney Princess, Pocahontas, Hawaiian Luau, Noah’s Ark, Disney’s Winnie the Pooh, Sports, LSU, Teenage Mutant Ninja Turtles The Wipeout Waterslide, Strawberry Shortcake, The Little Mermaid, Curious George, Halloween, Happy Birthday and Paw Patrol. 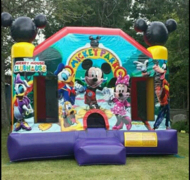 The theme panels are also available for the regular module and pink and purple dream castle.